With road closures and parking restrictions around the Marathon route, officials are urging Boston Marathon spectators to take the MBTA, use Blue Bikes, or walk to get around the city. Here’s what you need to know about taking the MBTA on Marathon Monday. Charlie Cards preloaded with $5 round-trip subway fare are available for purchase at Alewife, Back Bay, Braintree, Fenway, Quincy Adams, or Riverside Stations on April 15. The MBTA urges customers to purchase $12 One-Day Link passes for unlimited subway and bus travel. All bikes will be prohibited from being carried onto trains beginning 8 p.m. Sunday, April 14, through Monday, April 15, the MBTA said. Green Line: Copley Station will be closed for the entire day on April 15, the MBTA said. Instead, attendees should use Arlington, Prudential, or Hynes Convention Center Stations to access the Green Line. South Street, Kent Street, and St. Mary’s Street stops will be closed from approximately 10 a.m. to 6 p.m.
Red Line: Will operate a regular weekday schedule with rush-hour levels of service before and after the race. Orange Line: Will operate a regular weekday schedule with rush-hour levels of service before and after the race. Blue Line: Will operate a regular weekday schedule with rush-hour levels of service before and after the race. Silver Line: Will operate a regular weekday schedule with rush-hour levels of service before and after the race. The MBTA is offering a $15 Marathon Pass valid for all-day, unlimited travel on all commuter rail lines through all zones. Tickets can be purchased through April 15 from ticket offices or on the mTicket app. These tickets will also be available on trains on April 15. The Fairmount Line, Fitchburg/South Acton Line, Franklin Line, Greenbush Line, Haverhill Line, Kingston/Plymouth Line, Lowell Line, Middleborough/Lakeville Line, Needham Line, Newburyport/Rockport Line, and Providence/Stoughton Line will run on a regular weekday schedule. Additional trains will run on the Framingham/Worcester Line to support additional crowds. Bikes are also prohibited from the Framingham/Worcester Line. 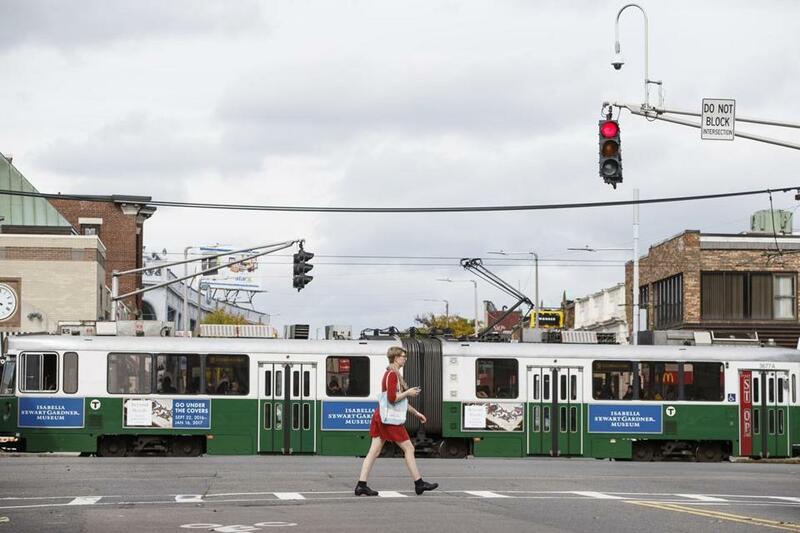 Buses and trackless trolleys will operate on a regular weekday schedule, the MBTA said. Some routes will be detoured to accommodate the Marathon and other festivities, particularly in and around Copley Square. Specific route changes for bus lines can be found on the MBTA website. The Ride and MBTA boat service will run on regular weekday schedules, the MBTA said.